A black bear was looking for some food at Yosemite National Park when it was caught on camera by one of the rangers. Park officials posted the video Sunday on Twitter. 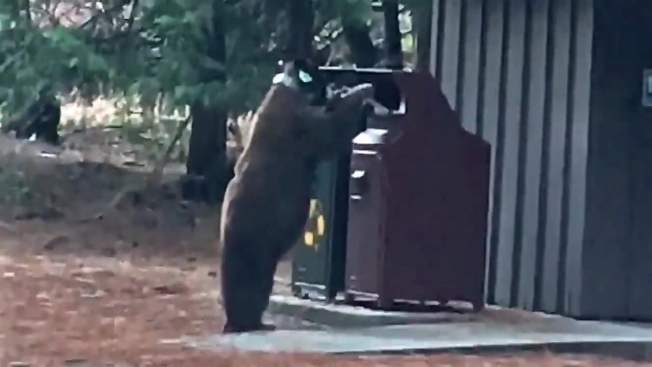 The footage shows a 5-year-old male bear trying to get into one of the bear-proof trash cans located in the park. "Some black bears are still active, even in winter?," officials wrote. "Help protect bears by always storing your food properly and picking up litter!" Park officials said the bear started seeking food in developed areas and showed no fear of people. The young bear has a tag on its ear and a GPS collar/radio transmitter around its neck, which was fitted so rangers can monitor the creature and be alerted when he enters a campground. The collar is part of a larger effort to reduce incidents involving bears around the park. In 2018, the Yosemite National Park's "Keep Bears Wild" project reported a new record low of about 22 bear incidents.